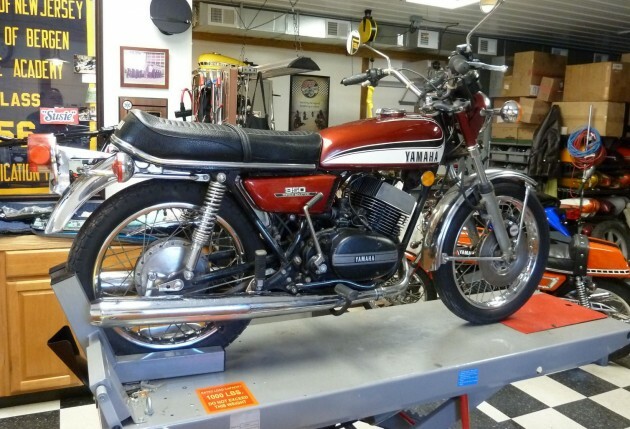 Barn Finds reader Jim S. spotted a long-stored sport bike from the 1970s on eBay in the form of a classic 1973 Yamaha RD350. It’s good timing on his part, since we recently featured another relic of the early sport bike era in the form of a highly original Kawasaki H1 Mach III. While many consider the current landscape to be the golden era of speed, these early two-wheeled rockets set the bar high when introduced. According to the seller, he purchased this RD350 from the original owner, who only drove it a tad over 6,000 miles. 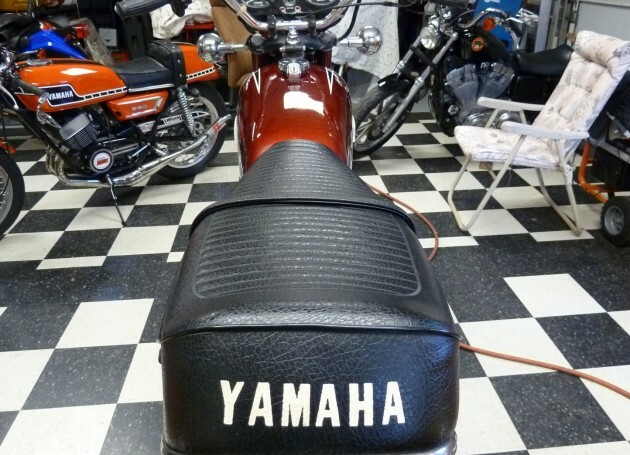 After acquiring it, the bike was stored securely in the seller’s basement for the next 31 years! He didn’t even drive it, which does make you curious as to why he bought in the in the first place. Regardless, it remains in very presentable condition today and looks road-ready. Like the Kawasaki bike, the Yamaha was born out of success in racing and a consumer demand for faster bikes. The RD350 had about 40 b.h.p. and could almost crack 100 m.p.h. While the Mach III was undoubtedly more raw and powerful, the RD350 still held its own against bikes like the Honda CB400F back in the day. Frankly, after binging on some YouTube videos of classic motorcycles, I’d take any of them. As near as I can tell, this RD350 presents like a preserved original bike with nothing much more to do other than enjoy it. 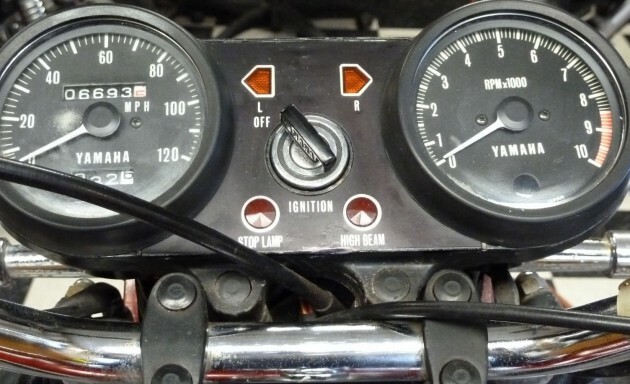 That’s because the seller has already performed some of the maintenance necessary to put the bike reliably back on the road, including cleaning the carbs and setting the float level; replacing the brake master cylinder and brake fluid; installing new spark plugs and setting the points. With 12 bids totaling just over $2,000, this seems like a solid buy for a fun project. Fastest car in Britain’ is a grey 1967 VOLVO!